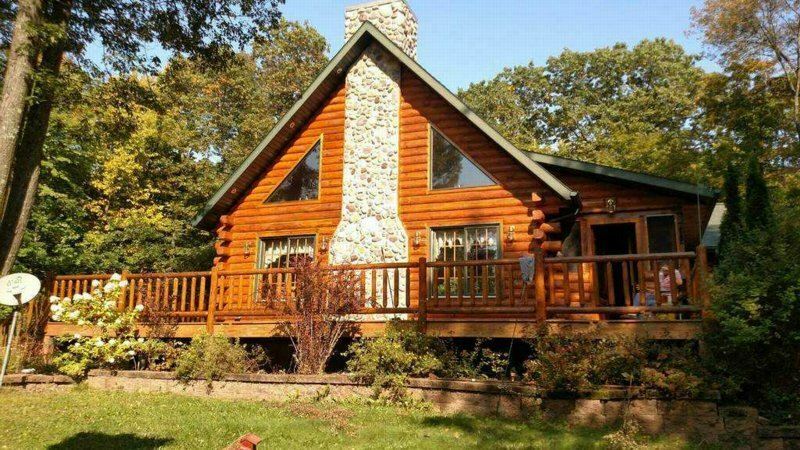 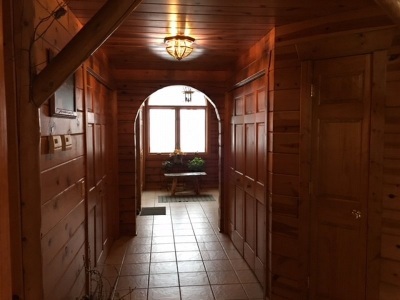 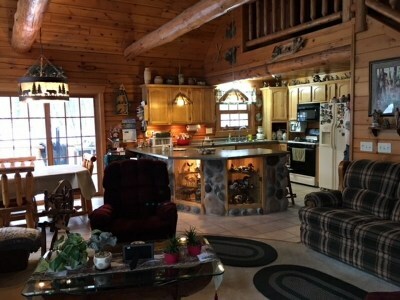 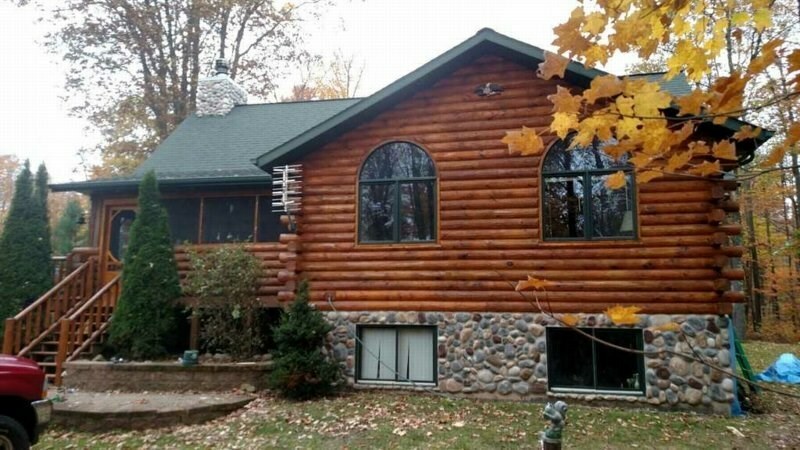 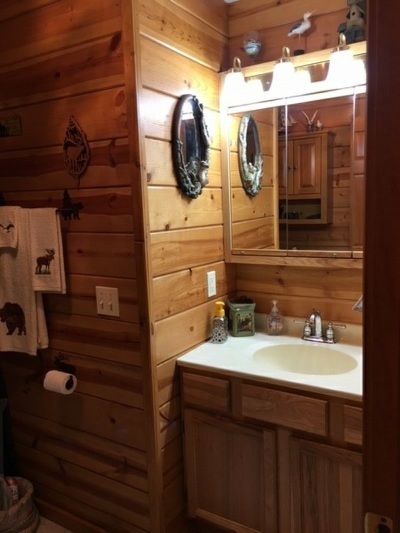 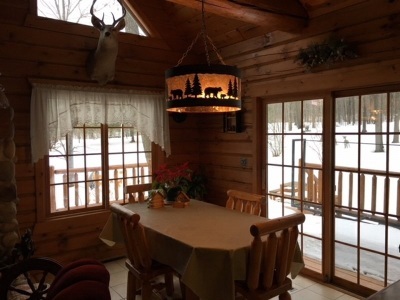 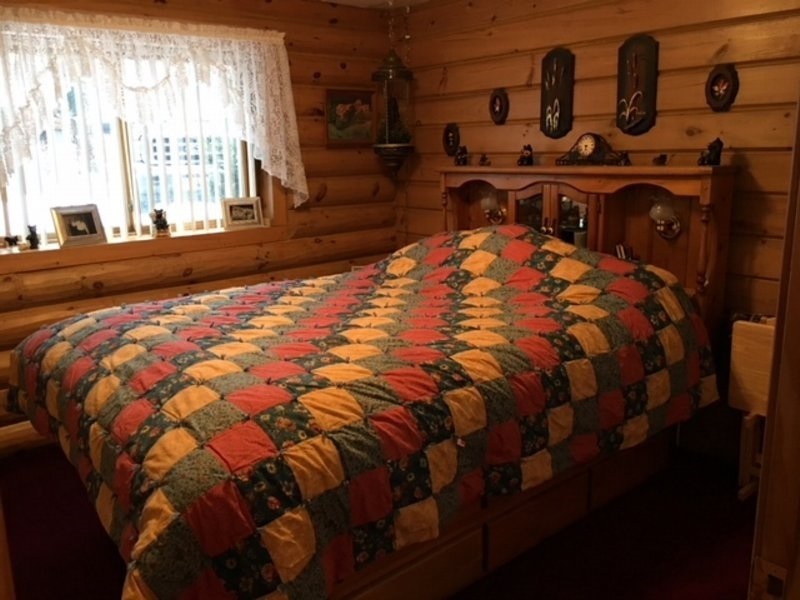 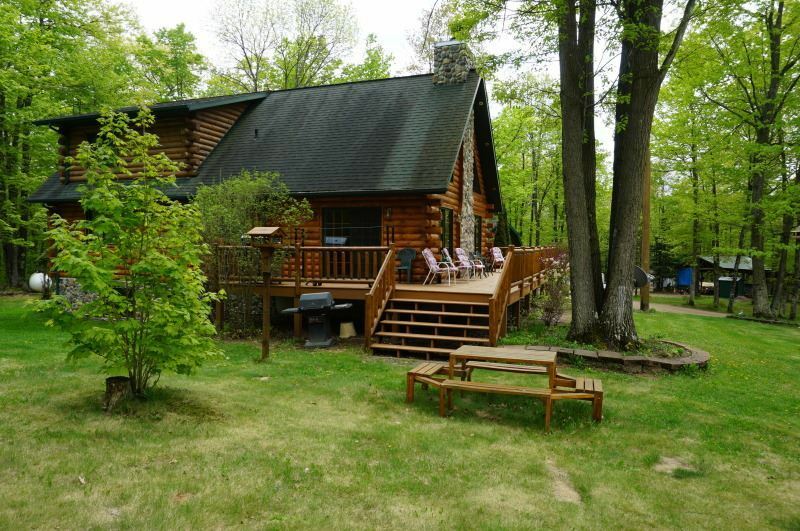 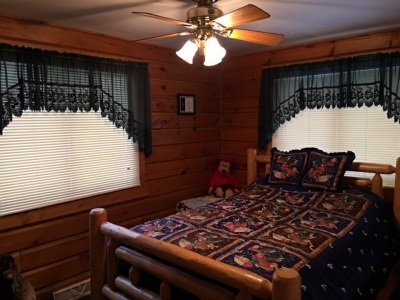 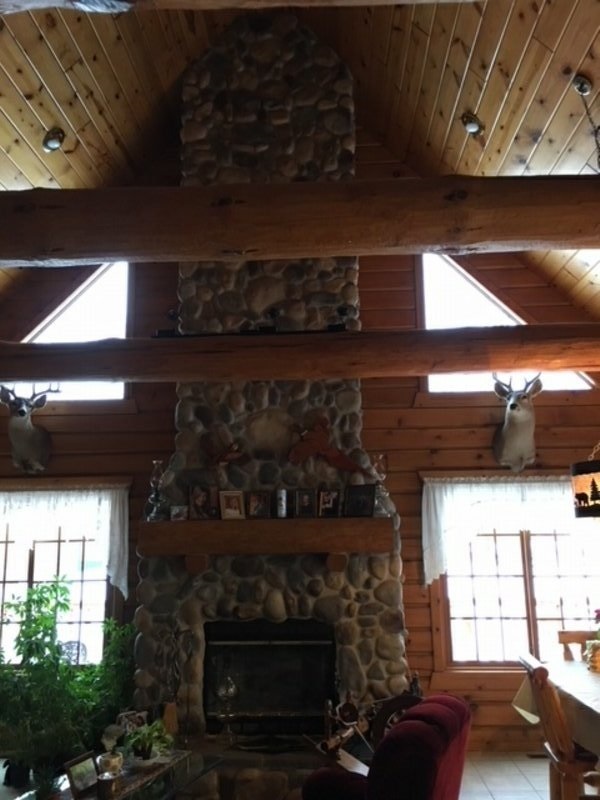 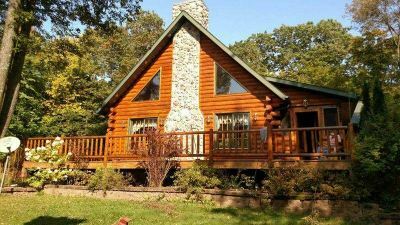 This 15 year old log home comes with screened-in porch leading to a large foyer with plenty of closet space and main floor laundry. 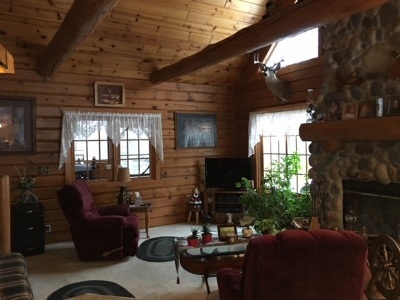 Next is a sitting room (bonus room), 2 nice size bedrooms, kitchen with a unique counter, and in the great room there is a Fieldstone fireplace going up the cathedral ceiling. 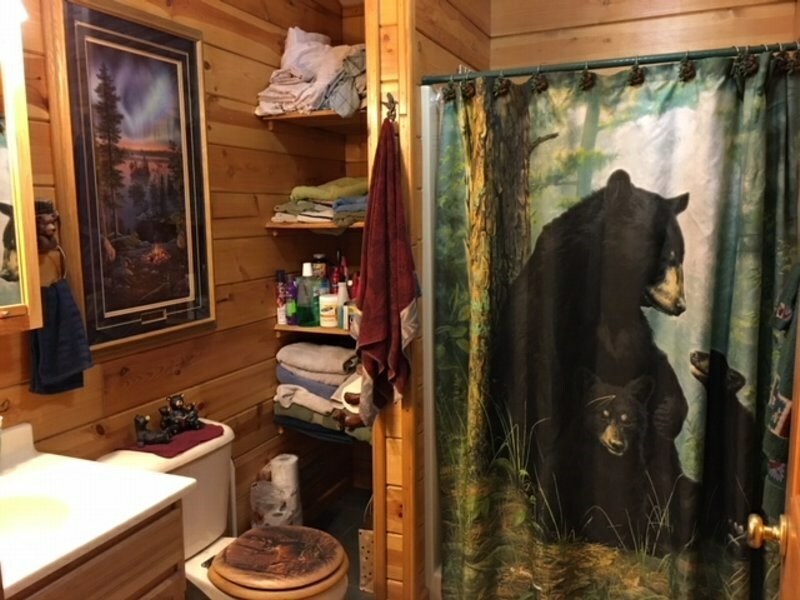 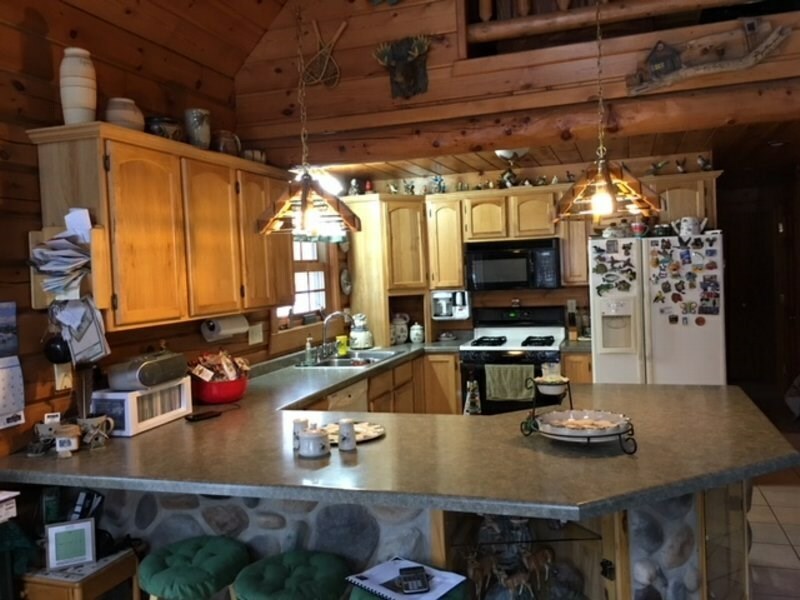 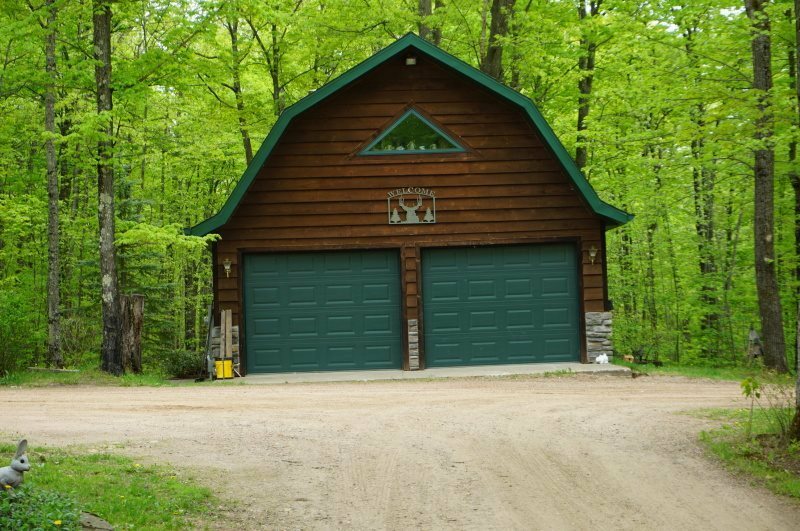 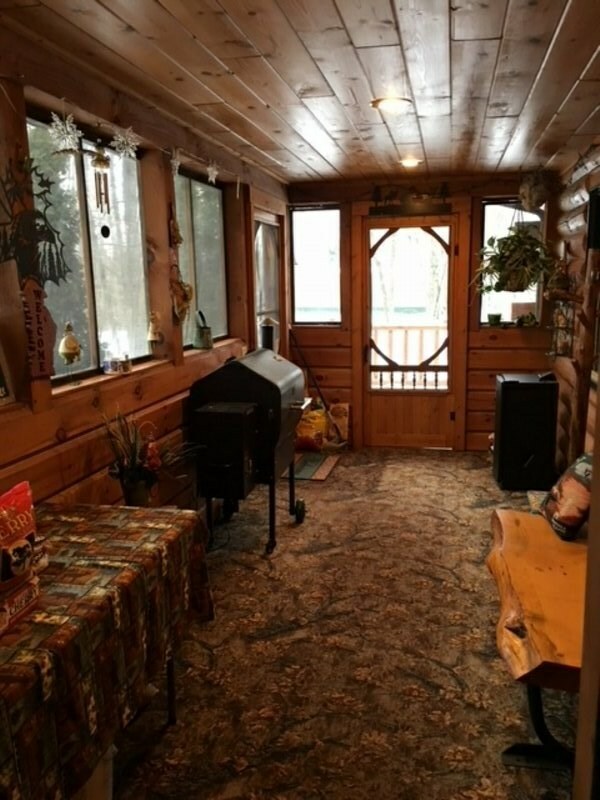 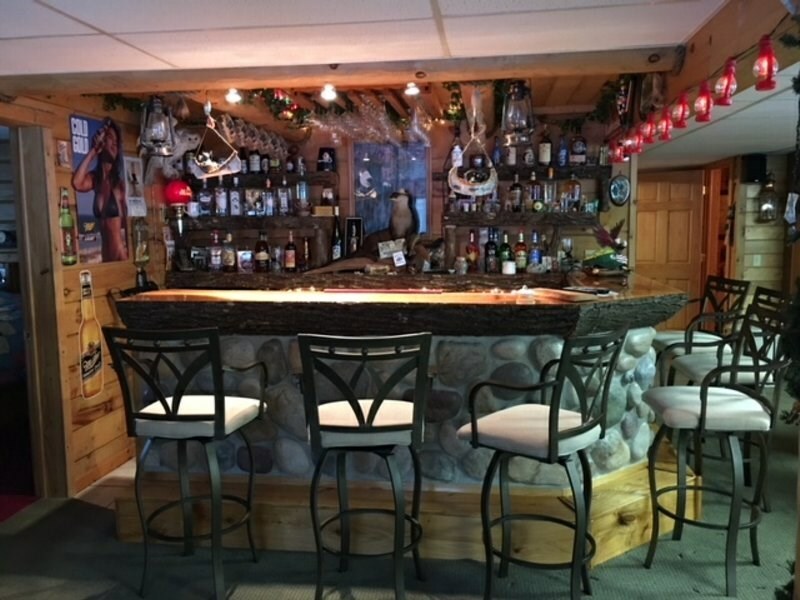 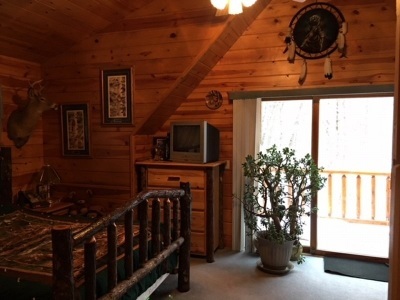 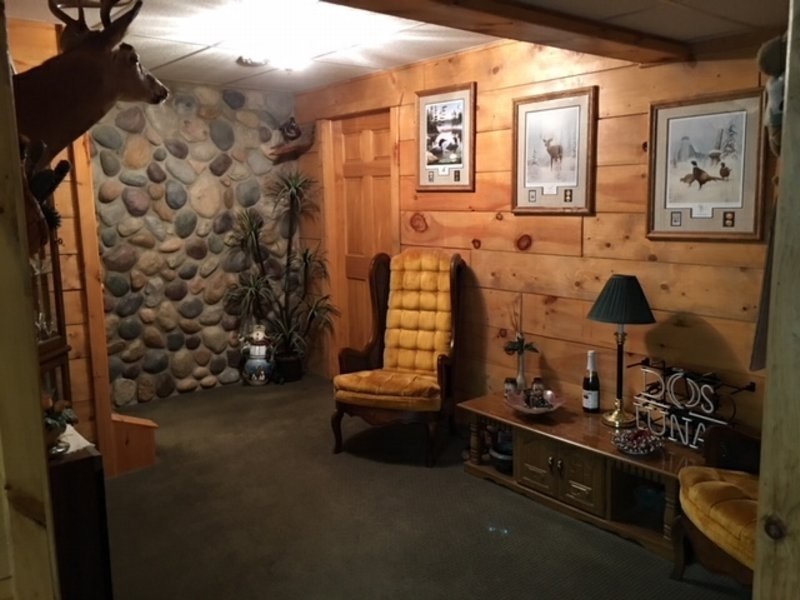 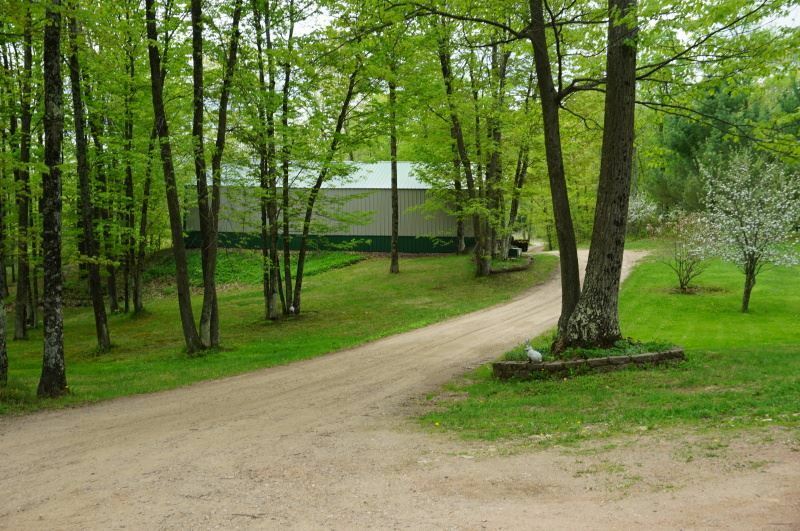 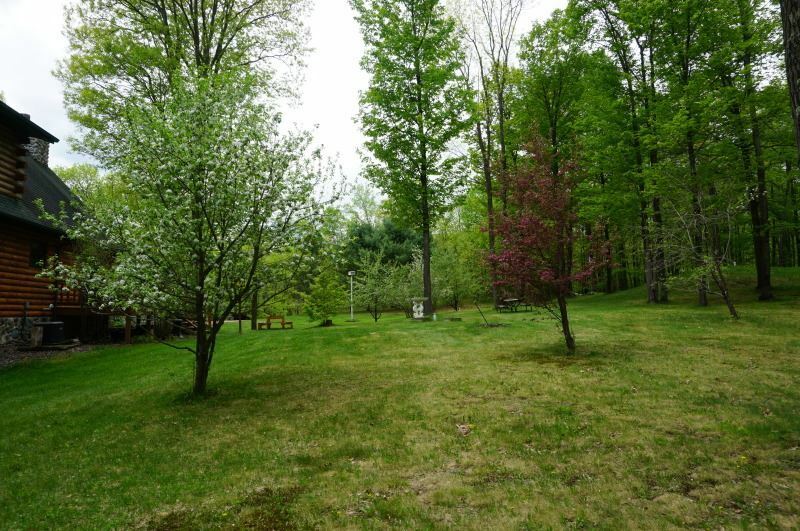 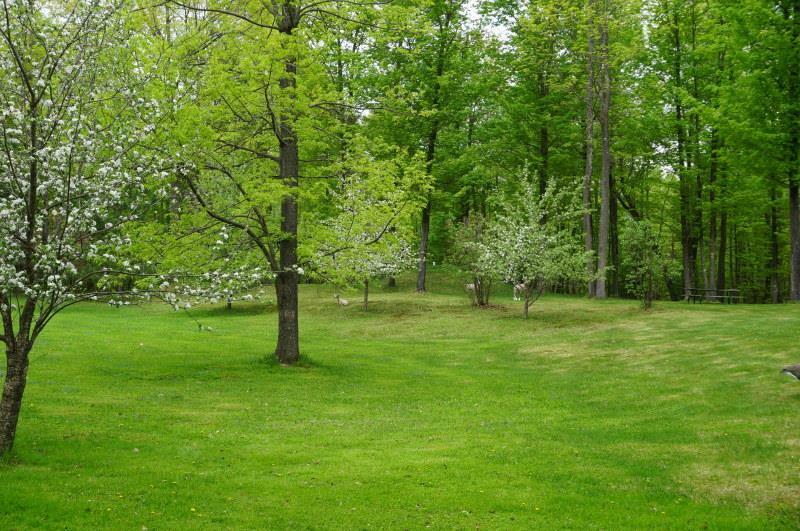 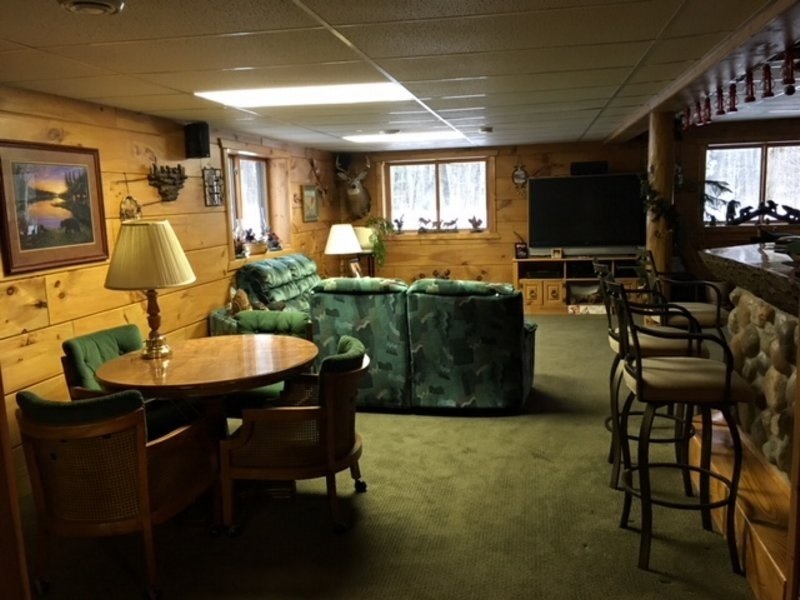 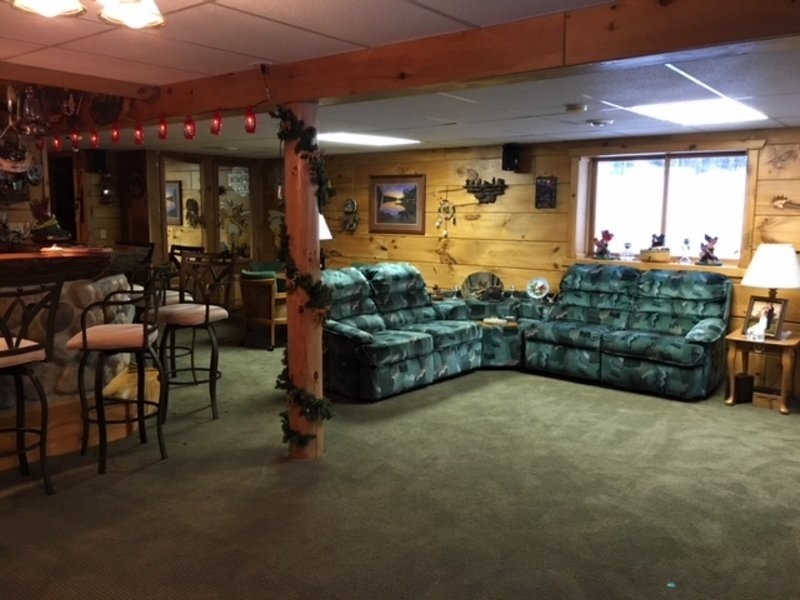 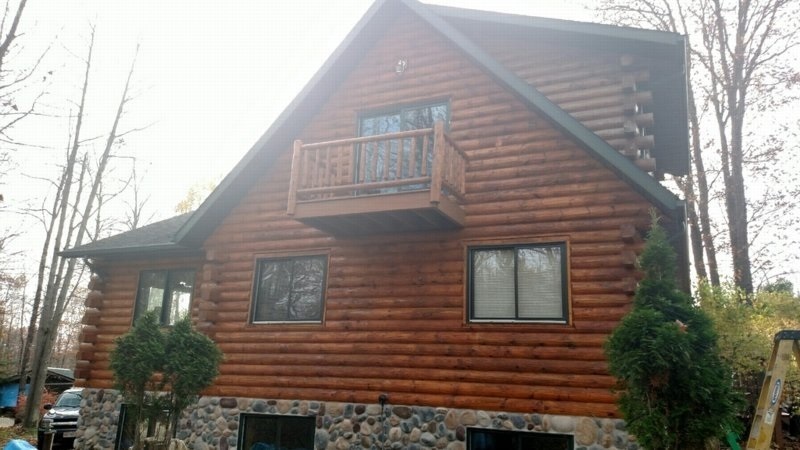 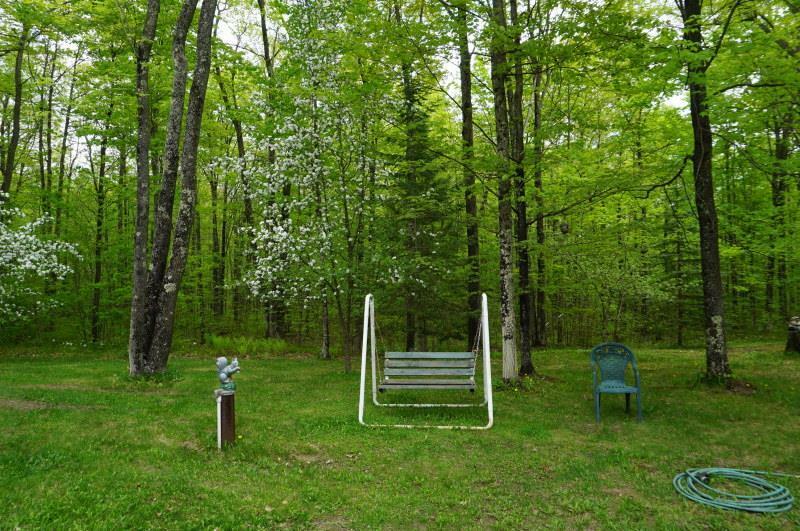 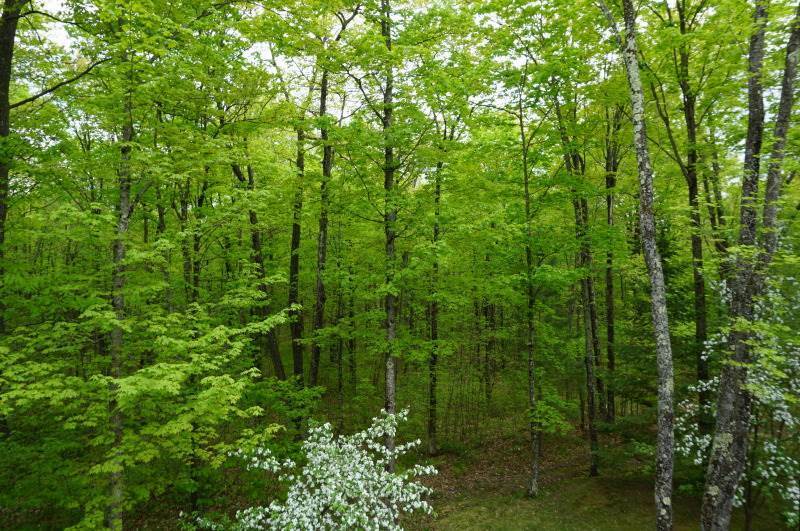 Up in the loft you will find the master suite with walk-in closet and patio door leading out to the balcony for a great view of the woods and all the wildlife on this 71.5 acres.